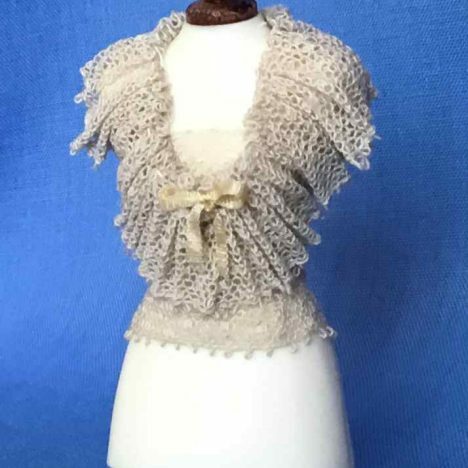 Beige Lace Pleated collar with cream silk ribbon bow. 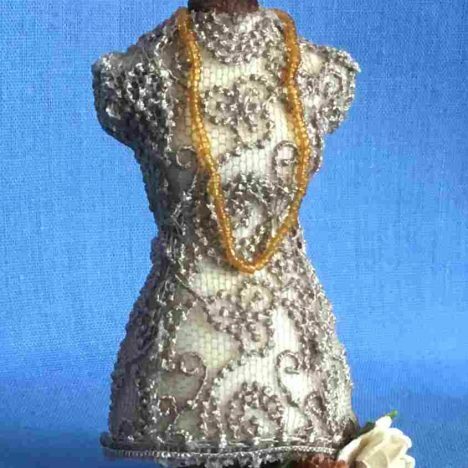 Resin Body. 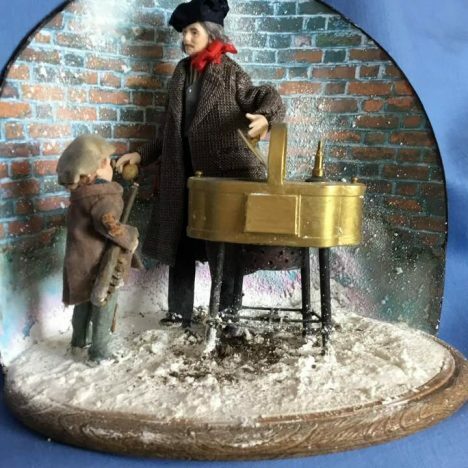 Wooden hand hold and brass base. 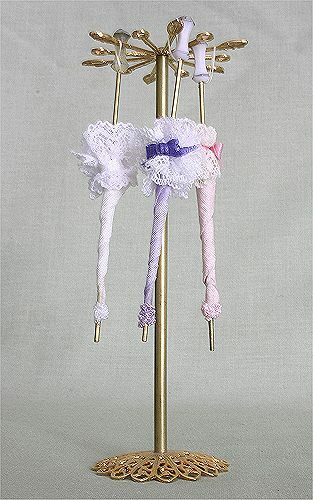 Suitable for a shop or window display. 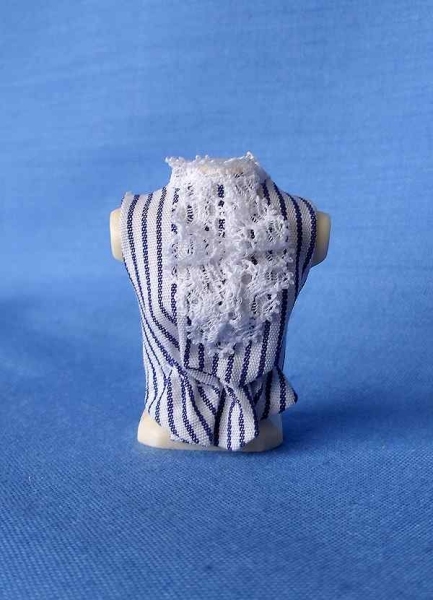 Half Body mannequin with a Cream Pleated lace collar. 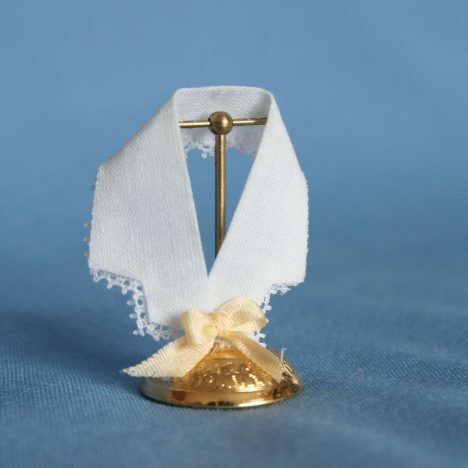 Silk Ribbon bow. Resin Body, Wooden Hand Hold and Brass base. 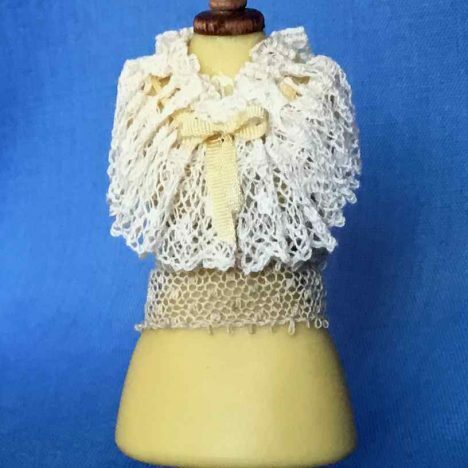 Beige Lace covered Half Body Mannequin. Necklace of small beads and flower decoration. 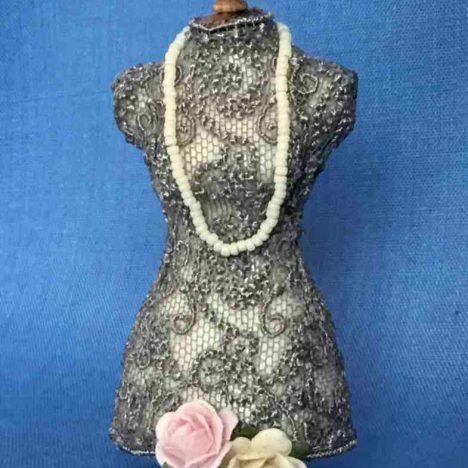 Grey Lace Half Body Mannequin. 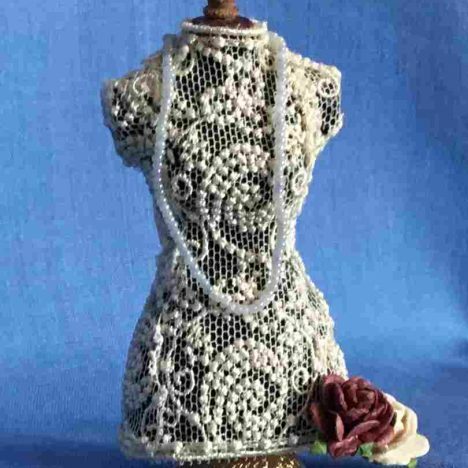 Grey Lace covered half mannequin. Resin Body,Wooden hand old and brass base. 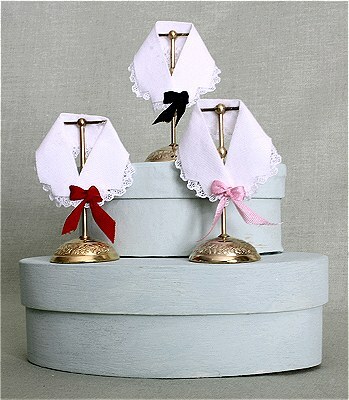 Suitable for a shop or room display. 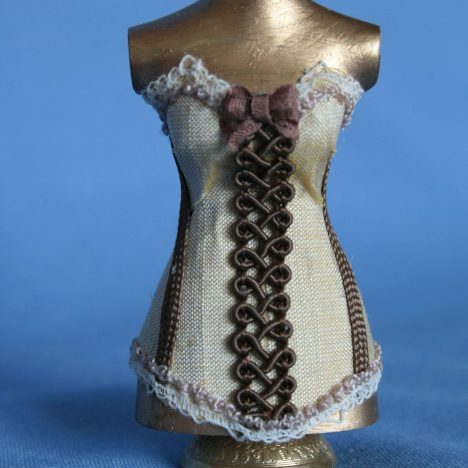 Cream Lace over Black Silk. 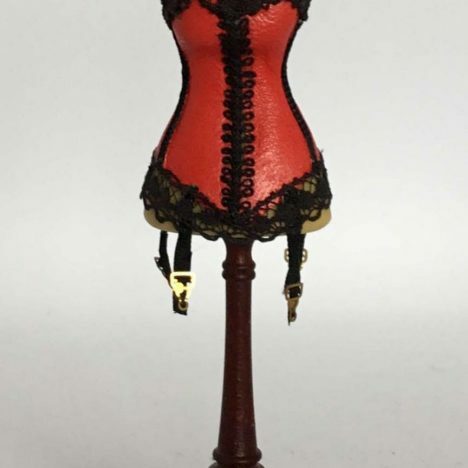 A Red Leather corset trimmed with Black lace and braiding. Has 4 suspenders. 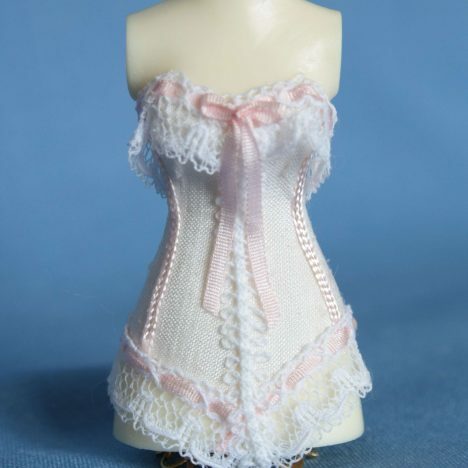 The mannequin body is resin and wooden stand and hand hold are British hand made. 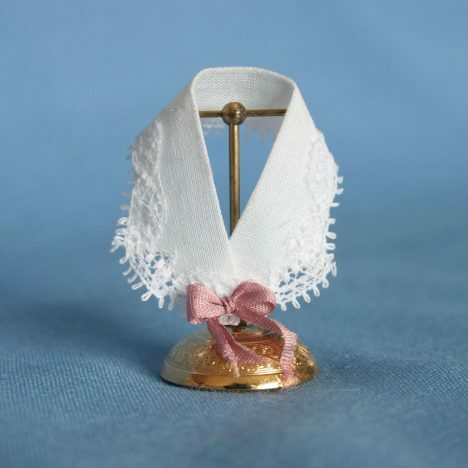 An Edwardian ladies collar, made from White cotton lawn, trimmed with lace and a Primrose shade silk ribbon bow. 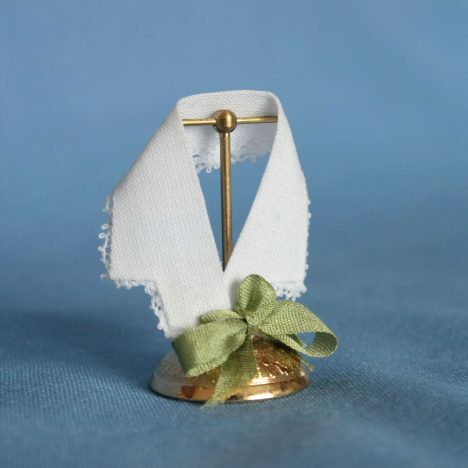 An Edwardian ladies collar, made from White cotton lawn, trimmed with lace and a Green silk ribbon bow. 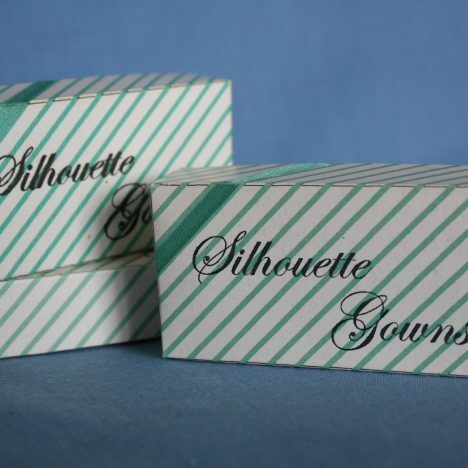 The Gown Boxes are made from thin card, decorated with silk ribbon. 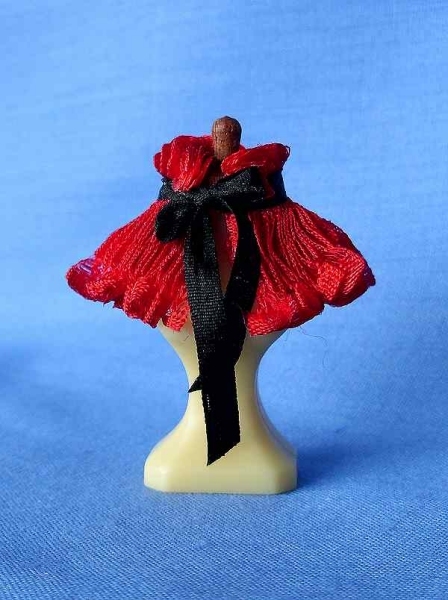 Red pleated Silk Ribbon Cape with Black silk ribbon bow. 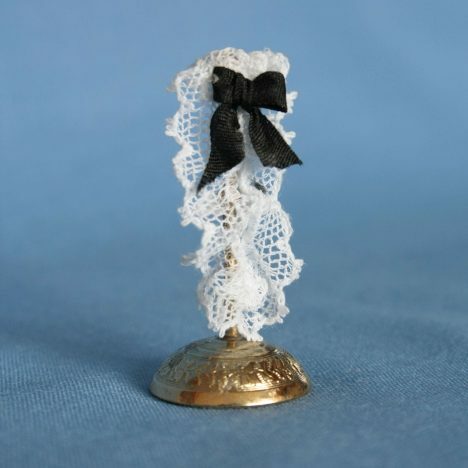 1/12th Scale Edwardian collar on a stand.